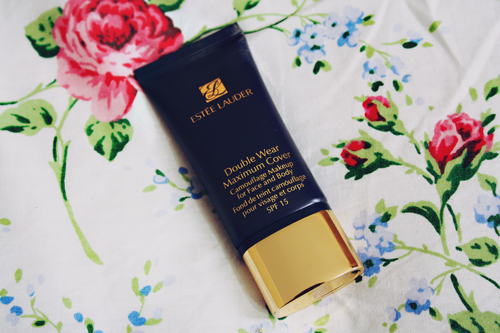 Warning: this Estee Lauder double wear foundation review is going to be another post in which I reference how awful my skin is, lately. And whilst I am doing pretty much everything in my power to improve it (I’ll be posting a lot more about that in the next week or so), even the best treatments take time to get to work, which means I’ve had to seriously consider some new maximum coverage options to conceal all those imperfections in the meantime. 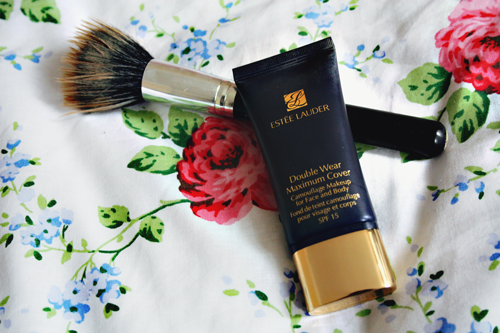 Estee Lauder Double Wear foundation has been on my ‘beauty wishlist’ for as long as I can remember, but I’m ashamed to say I had no idea there were so many coverage options within the double wear range (light, normal, and maximum cover), and upon stumbling across the maximum cover camouflage foundation at my local Fenwick store a couple of weeks ago, I knew I had to take the plunge and invest. 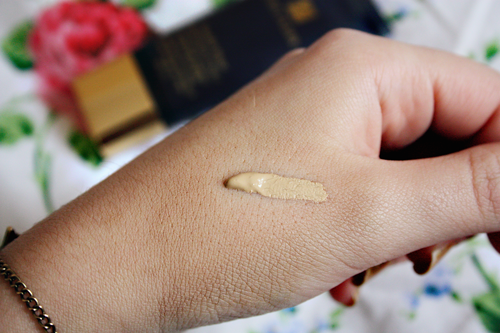 Double Wear maximum coverage comes in 6 shades, and, after about 15 minutes of indecision, I finally settled on ‘creamy ivory’; the Estee Lauder counters don’t stock samples of this particular product, so, naturally, I ended up going home with a shade which was a bit darker than I would’ve liked (should have gone for ‘very light’, instead, but ah well! ), but still fell a little in love with this product, all the same. I’d recommend using a stippling brush (mine is MAC 187, available here) to apply the product, as it’s very thick, and could easily look ‘cakey’, if applied with fingers or a standard foundation brush, but other than that, it’s a pretty impressive product. Whilst I wouldn’t quite feel confident leaving the house with just this as a base, and no concealer, I certainly have to use much less, and it has seriously impressive staying power. My only real complaint is the fact that, as it is such a heavy product, it does require quite a lot of powder to stop your face looking unpleasantly shiny, and it does require a bit of getting used to – it could be very easy to build it up just a little too much and end up looking a bit…overdone. Would I recommend it? Yes, but only if you need it; it’s not a light foundation, and it doesn’t exactly look entirely natural, so unless you have serious acne (more about mine, here), scarring, or any other problem that requires serious camouflage, it might be better to opt for a lighter base. For anyone like me, however, who’s a bit desperate for better coverage, it’s a serious make up bag necessity. 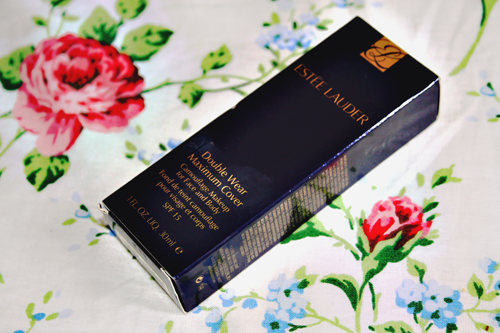 Estee Lauder Maximum Cover Camouflage Foundation retails for £27.50, and is available at Estee Lauder counters nationwide, and the Boots website.